Luan is a successful serial entrepreneur, author, inventor and technologist, with post-internet and technology bubble exits to such companies as Cisco Systems (NASDAQ: CSCO), Level 3 Communications (NASDAQ: LVLT) and Hewlett-Packard (NYSE: HPQ). Previously he was President of Strategic Investments for Curo Capital LLC and President of Alternative Investments for Trymetris Capital Management LLC. He was also a Director of Engineering at Linksys, a subdivision of Cisco Systems, overseeing the development of Voice-over-IP (VoIP) products and strategies. At Linksys, he grew the VoIP product line from $0 to $150M in 12 months, making it the fastest-growing product line in Linksys and Cisco history to achieve 1M ports shipped. 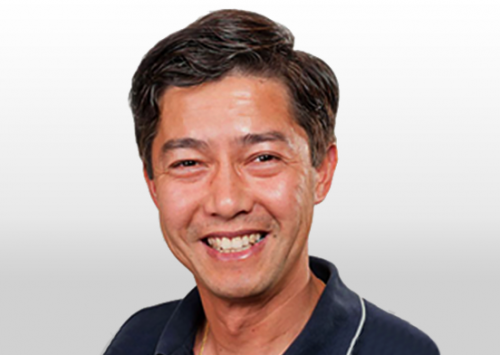 Luan came to Cisco through its acquisition of Vovida Networks, where he served as Co-Founder, Executive Vice President and Chief Technology Officer. In the past, Luan was an Angel Investor in Vonage (NYSE: VG) and an Angel Investor and Advisor to both Telverse Communications, a next-generation advanced services ASP focused on wholesale communications services for carriers, service providers and value-added resellers (acquired in 2003 by Level 3 Communications (NASDAQ: LVLT)), and vCIS, a proactive software behavior analysis and anti-virus security company (acquired by Internet Security Systems (NASDAQ:ISSX) in 2002), before it was subsequently acquired by IBM (NYSE: IBM) in 2006. Additionally, he was a Founding Member of the Technical Advisory Board of both the Open Multimedia Protocol Alliance (OMPA) and the International Softswitch Consortium (ISC) in 1999, which were subsequently merged and scaled to nearly 200 companies prior to renaming itself to become the International Packet Communications Consortium (IPCC) in 2003. Luan worked in various operational and technical roles with Nortel Networks and Unisys. He has over 15 years of experience in the communications industry and has also co-authored a book entitled Practical VoIP currently used as a core textbook for teaching VoIP system development in universities worldwide. Luan holds patents on display screen management apparatus (1997) and caller IP (1998) and has three other patents currently pending. He holds an MS in computer science from Stanford University and a BS in computer engineering from the University of California at San Diego. Luan resides in Newport Beach, California, with his wife Linh and their three young children, and serves as a member of the Central Texas Angel Network and Austin Technology Council.